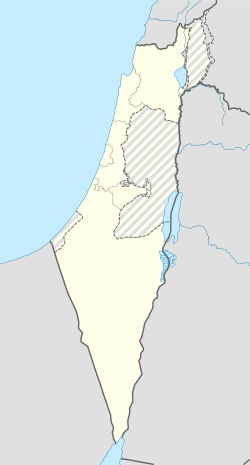 Bi'ina or al-Bi'na (also el-Baneh) is an Arab town in the Northern District of Israel. It is located east of Akko. In 2003, Bi'ina merged with Majd al-Krum and Deir al-Asad to form the city of Shaghur, but was reinstated as a local council in 2008 after Shaghur was dissolved. Bi'ina has a mostly Muslim population (92%) with a small Christian minority (8%); in 2017 its population was 8,110. Along with several other sites, Bi'ina was proposed as the location of ancient Beth-Anath mentioned in Egyptian and biblical texts. [Note 1] Archaeological evidence suggests that Bi'ina, though perhaps occupied in the Early Bronze Age, was no longer occupied in the Late Bronze Age. Among the place names found in a list of Ramses II, Beth-anath remains the only name that clearly refers to the Galilee according to Judges 1:33. In 1517, Bi'ina, with the rest of Palestine, was incorporated into the Ottoman Empire after it was captured from the Mamluks, and by 1596 appeared in tax registers as belonging to the Nahiya of Akka, part of Safad Sanjak. It had a population of 61 households; 46 Muslim and 15 Christian. The villagers paid a fixed tax rate of 25% on various agricultural products, including wheat, barley, olives, cotton, goats or beehives, in addition to for a press for grapes or olives; a total of 7,134 akçe. A map from Napoleon's invasion of 1799 by Pierre Jacotin showed the place, named as "El Bena", while in 1838, el Ba'neh was noted as Greek Christian village in the Esh-Shagur district, located between Safad, Acca and Tiberias. In 1875 Victor Guérin noted that the population was divided between Druze and Greek Orthodox Christians. He listed a mosque and a Greek church, both of which were built on the sites of older churches. In the late 19th century, it was described as a village of 300 Muslims and 100 Christians, surrounded by olives and arable land. Water was supplied by a spring. A sarcophagus was also seen lying outside the town. Lieutenant Kitchener of the Palestine Exploration Fund described the town under its name El-Baneh, and where he noted a spring and birket (reservoir). A population list from about 1887 showed that B'aneh had 620 inhabitants; slightly more Muslims than Greek Catholic Christians. 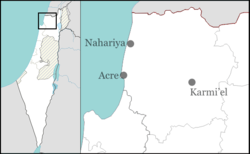 In the 1922 census of Palestine conducted by the British Mandate authorities, Al Ba'na had a population of 518; 311 Muslims and 207 Christians, where all the Christians were Orthodox. By the 1931 census the population had increased to 651; 441 Muslims and 210 Christians, in a total of 133 houses. In the 1945 statistics, Bi'ina had 830 inhabitants; 530 Muslims and 300 Christians. 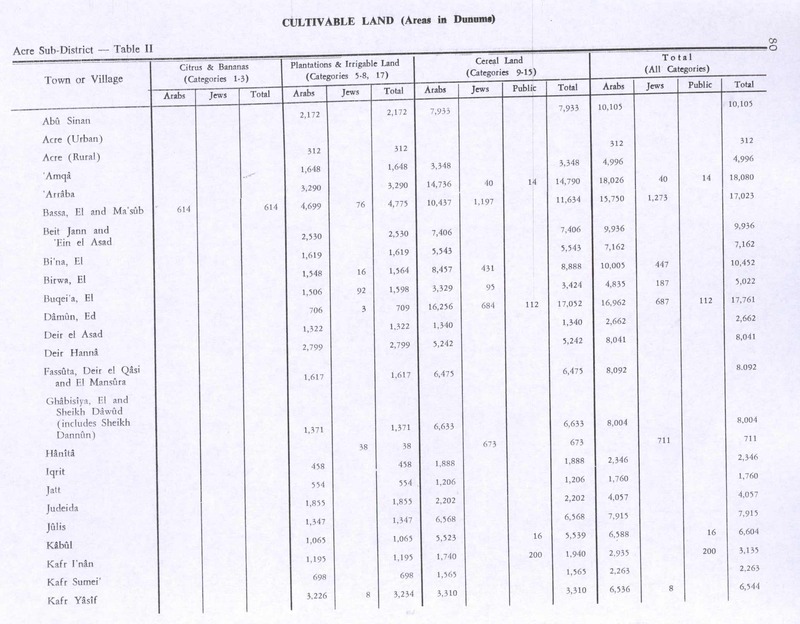 They owned 14,839 dunams of land, while 57 dunams were public. 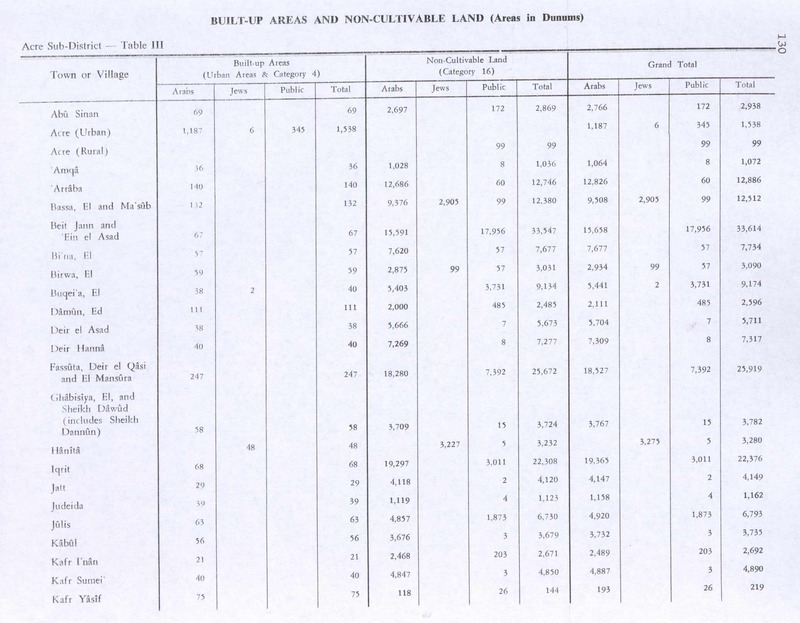 1,619 dunams were plantations and irrigable land, 5,543 used for cereals, while 57 dunams were built-up (urban) land. During Operation Hiram, 29–31 October 1948, the village surrendered to the advancing Israeli army. Many of the villagers fled north but some remained and were not expelled. The village remained under Martial Law until 1966. In 1981, a Bedouin neighborhood was created in the village, populated by members of the Sawaed tribe from Rame. In 2014 and in 2016, archaeological survey-excavations were conducted at the site by Alexander Yarde and Alexander Efron on behalf of the Israel Antiquities Authority (IAA). ^ Those who dispute Albright's identification are Charles William Meredith van de Velde and Victor Guérin, who place the ancient site of Beth-anath in Ain Aata, Lebanon. Others place the ancient site in Bu'eine Nujeidat, while still others thought that Beth-anath ought to be identified with Safad el Batih in Lebanon. Klein thought that Beth-anath was to be identified with Hinah. Zvi Gal, in his article, "The Late Bronze Age in Galilee: A Reassessment," Bulletin of the American Schools of Oriental Research, No. 272 (Nov., 1988), pp. 79-84 writes: "Various sites have been suggested for this city: Bi'ina in the Beit Hakerem Valley, (Albright 1923: 19-20; Safrai & Safrai 1976), Ba'inah in the Beit Netophah Valley (Alt 1946: 55-57), Tel Roš (Amiran 1953: 125-26), and Tell el Ḥirbeh (Garstang 1931:244-45)." ^ Shmuel Ahituv, Canaanite Toponyms in Ancient Egyptian Documents, Magnes Press: Jerusalem 1984 ISBN 9652235644, citing Aharoni (1957:70-74). ^ See p. 82 in: Gal, Zvi (1988). "The Late Bronze Age in Galilee: A Reassessment". Bulletin of the American Schools of Oriental Research. 272 (Nov.): 79–84. Retrieved 16 October 2018 – via JSTOR. (Registration required (help)). Cite uses deprecated parameter |registration= (help), and where the copyist erroneously cited Joshua 1:33, instead of Judges 1:33. ^ Karmon, 1960, p. 166. Aharoni, Y. (1957). The Settlement of the Tribes of Israel in the Upper Galilee. Jerusalem: Magnes Press. Albright, W.F. (1922). "Contribution to the Historical Geography of Palestine". Annual of the American Schools of Oriental Research. 2–3: 1–46. Gal, Zvi (1988). "The Late Bronze Age in Galilee: A Reassessment". Bulletin of the American Schools of Oriental Research (BASOR). 272: 79–84. Klein, S. (1934). "Notes on History of Large Estates in Palestine". Yediot - Bulletin of the Jewish Palestine Exploration Society. 1: 18–34. Morris, B. (1987). The Birth of the Palestinian Refugee Problem. Cambridge University Press. ISBN 0-521-33028-9. Rhode, H. (1979). 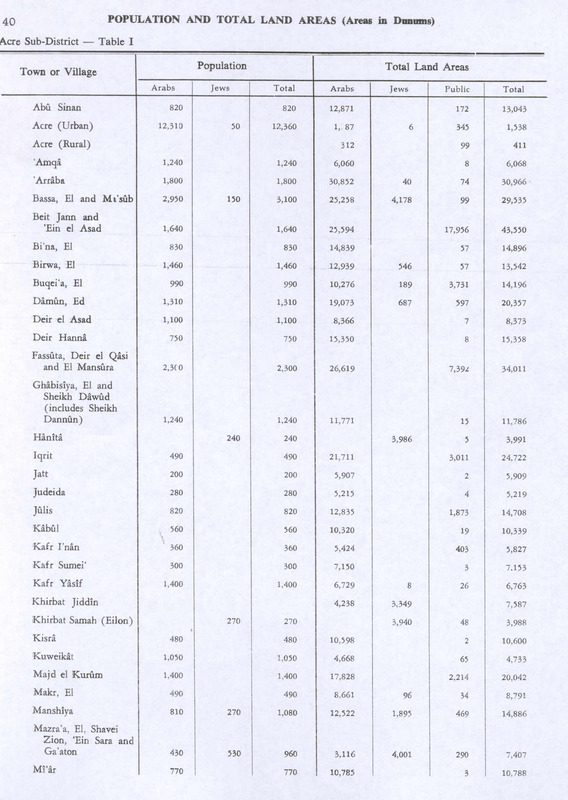 Administration and Population of the Sancak of Safed in the Sixteenth Century (PhD). Columbia University. Safrai, Z. (1976). "Beth-Anath". Sinai. 78: 18–34.